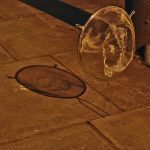 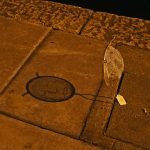 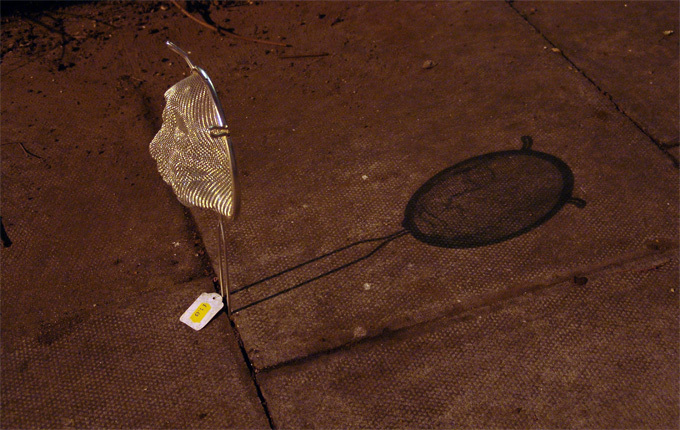 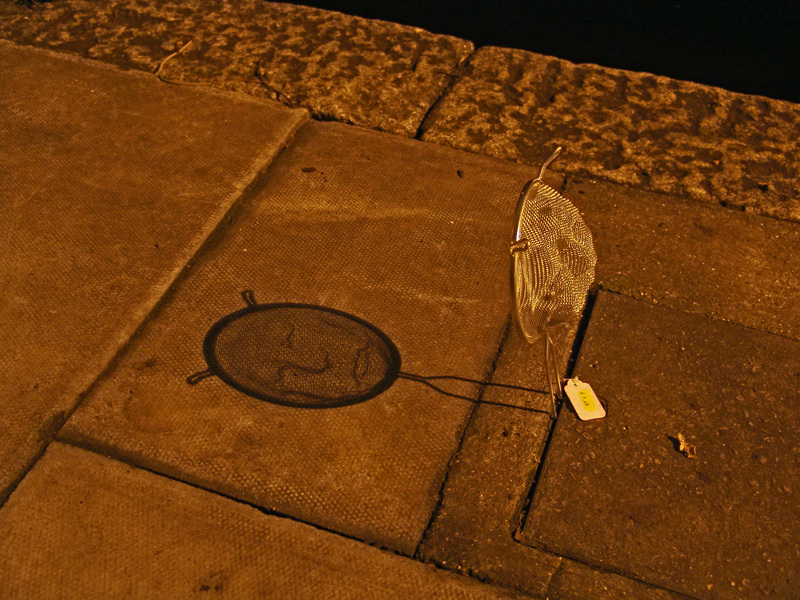 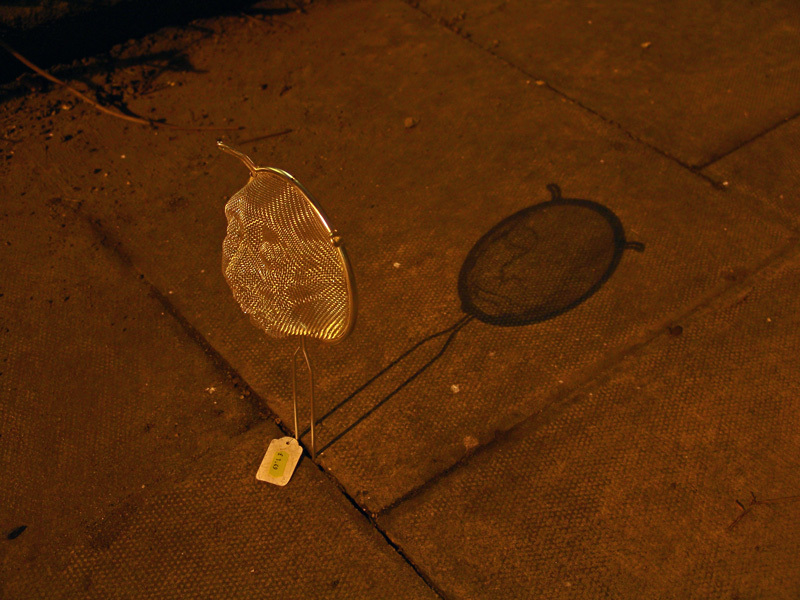 Urban installation projecting shadows with public lights in Dalston, London. 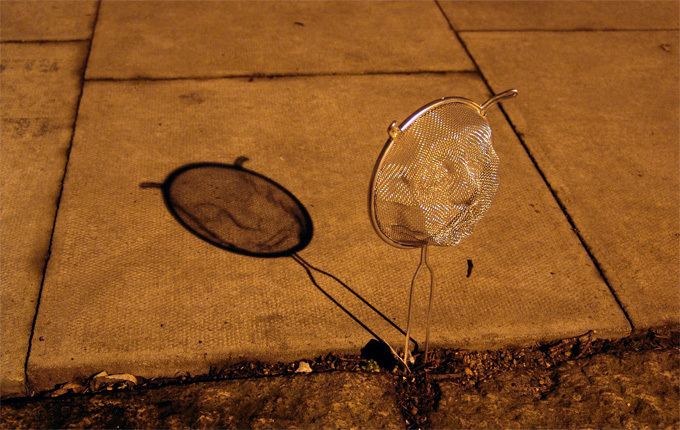 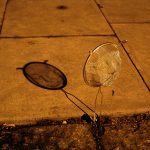 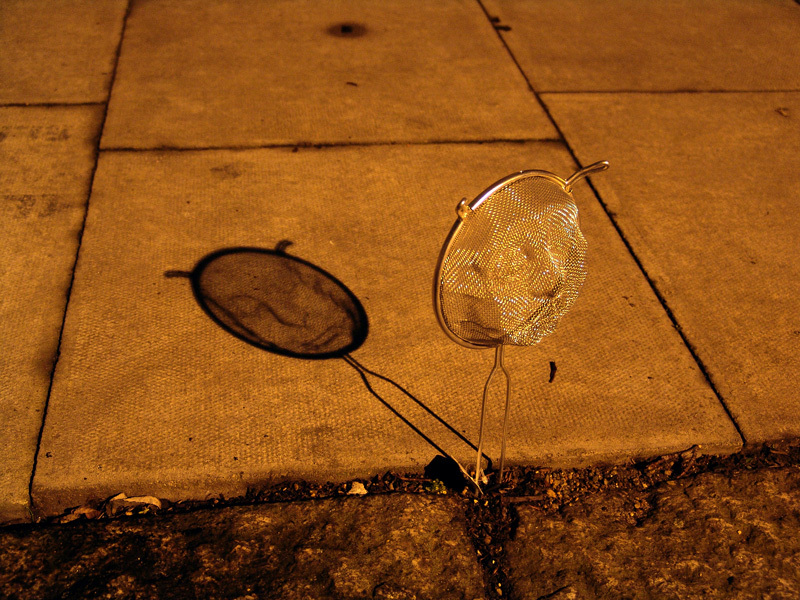 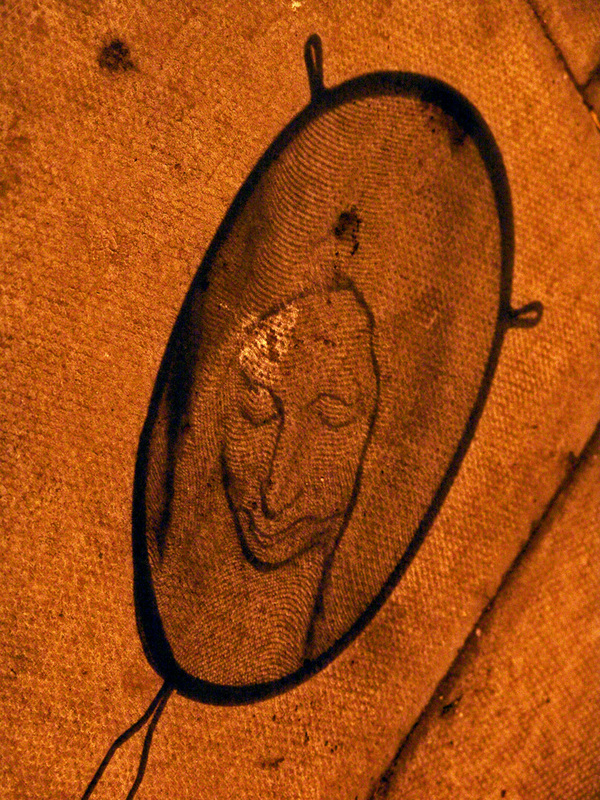 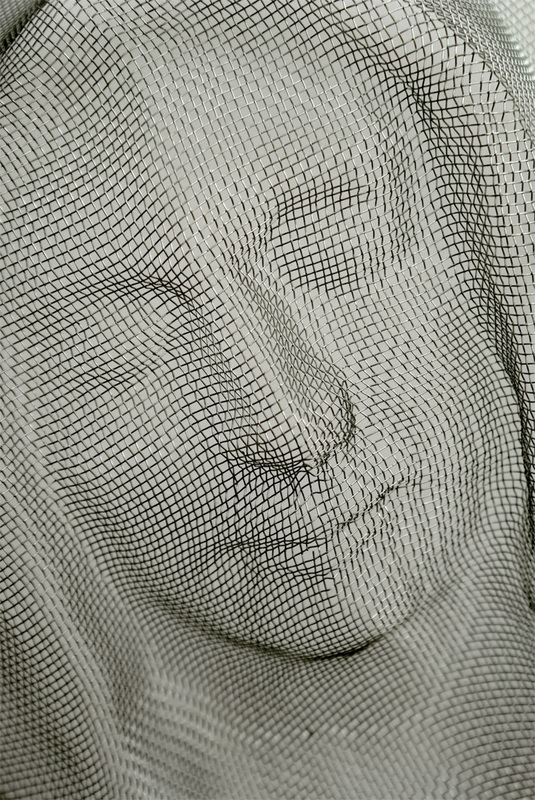 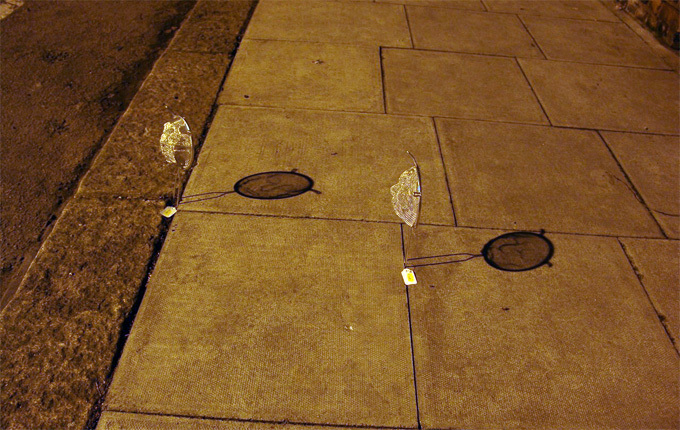 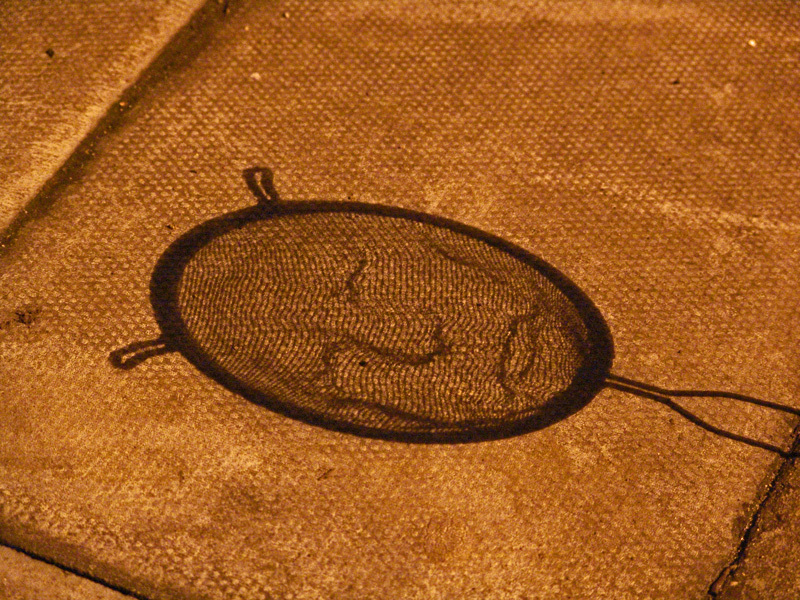 Faces modeled on grid of several colanders projecting their shadows on the pavement. 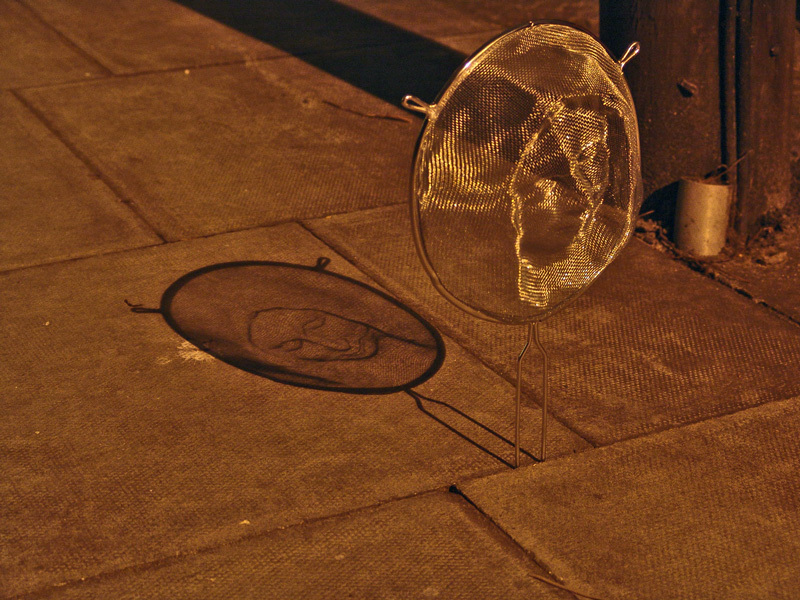 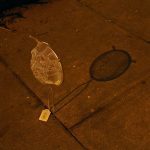 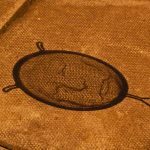 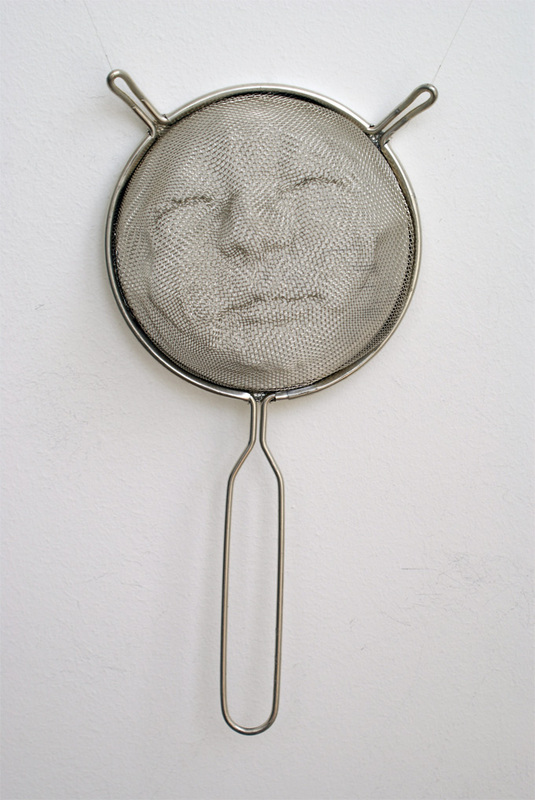 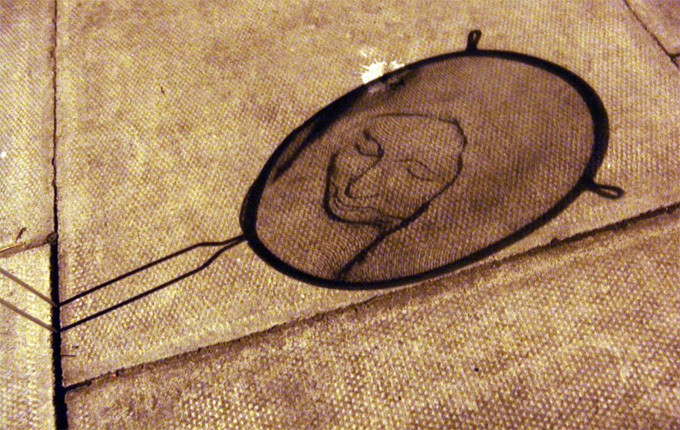 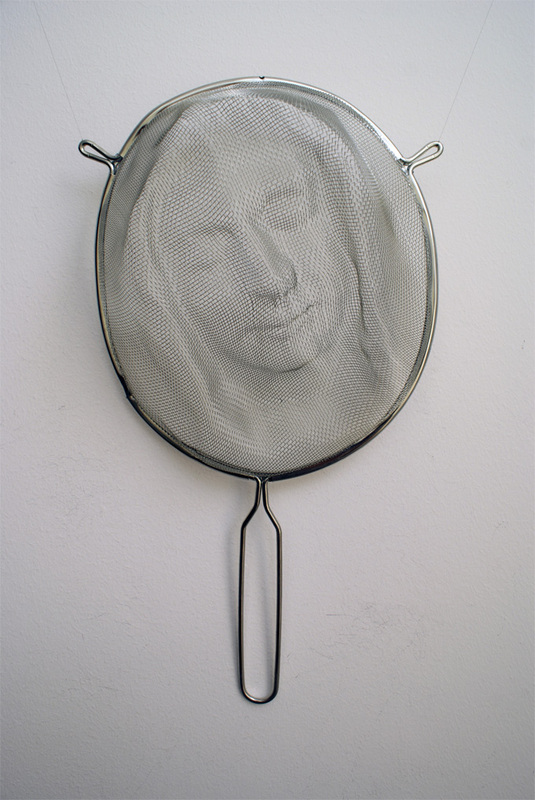 Main idea is to try to make larger projections drawings with public light resources.